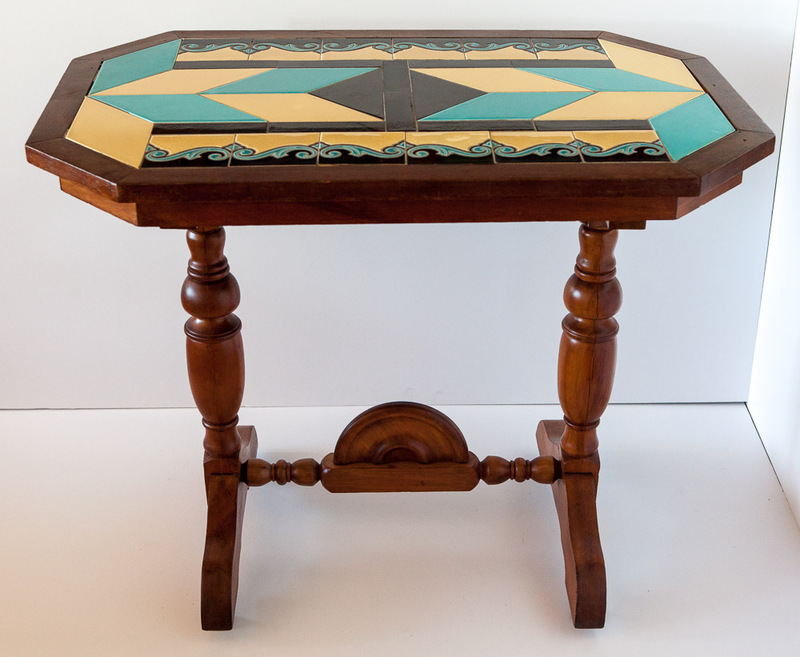 As far as geometric tile tables go, this one is quite unique, both in terms of the tiles and the woodwork. 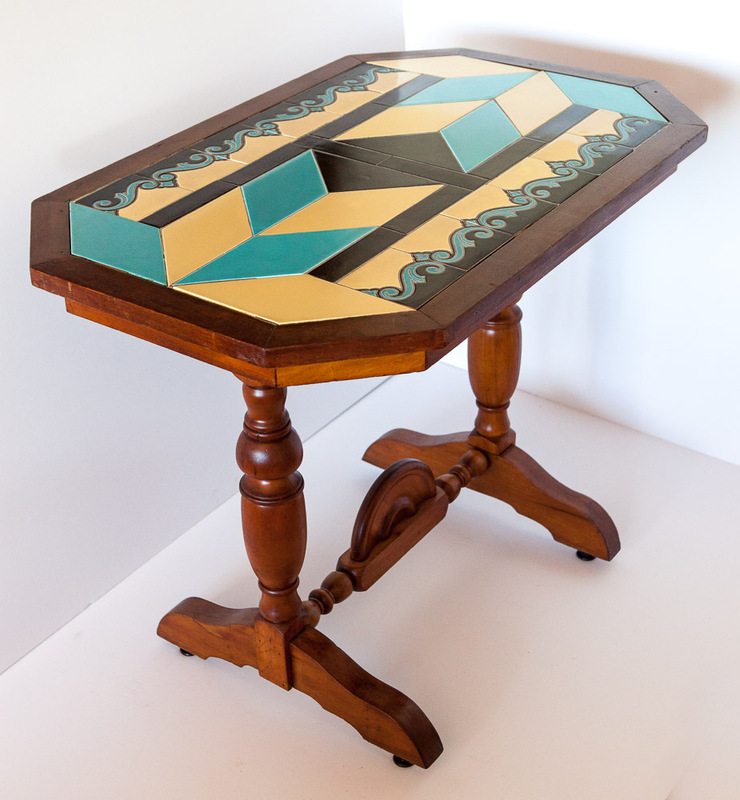 The trestle table is quite large; it's a size of a library table or a writing desk. 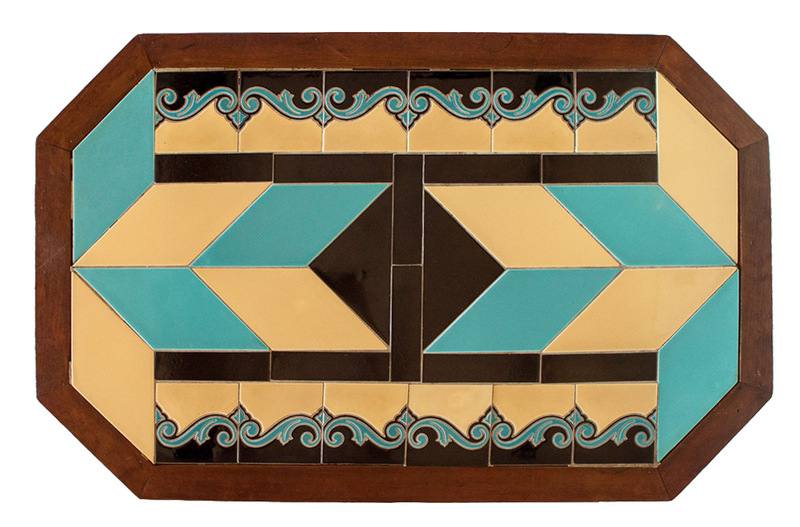 Blue and yellow rhomboid tiles are laid out in contrasting pattern, with a black center figure that connects to decorative art deco borders. 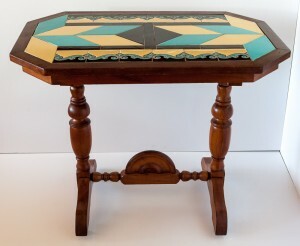 The wooden frame is made of cherry and has interesting turned legs and a carved element on a turned horizontal beam that connects them. 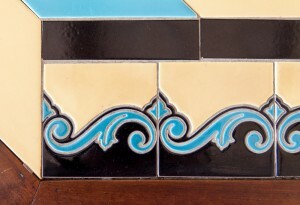 These talc bisque tiles were produced by the tile plant in Hermosa Beach, and the border tiles are illustrated in 1934 Hermosa catalog. 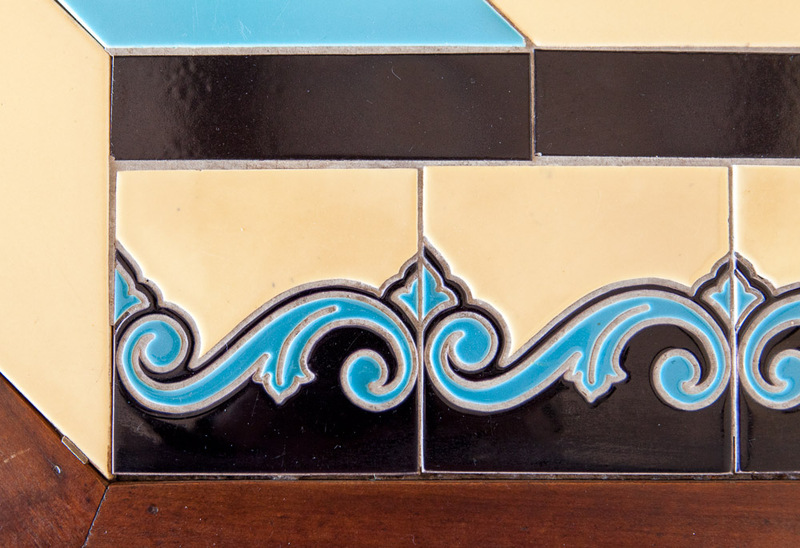 Hermosa was originally owned by American Encaustic Tiling Co (1919 - 1933), but in 1933 the plant was acquired by Gladding, McBean (1875 - 1962). If the tiles were produced prior to 1933, they would be marked AETCo. However, if they were made later, they would be marked Gladding, McBean & Co.
Update: One of the tiles fell out as I was fixing some loose grout, and it's marked "AET co. LTD US PAT NO 1638910." The number is hard to read, so I might be incorrect.